If you want wild, futuristic, and inventive, some of the craziest inventions come from the past. The Photoplayer makes today’s music tech look positively dull. Joe Rinaudo has made a business of bringing back antiques, but his 1926 Photoplayer may top the list. Built to add dynamic soundtracks for silent films, the machine is an ingenious contrivance for live music generation. First, it has the ability to run “two decks” – that is, by having two rolls instead of one, you can queue up the next roll while the other is playing. (Okay, so it sort of invented DJing.) 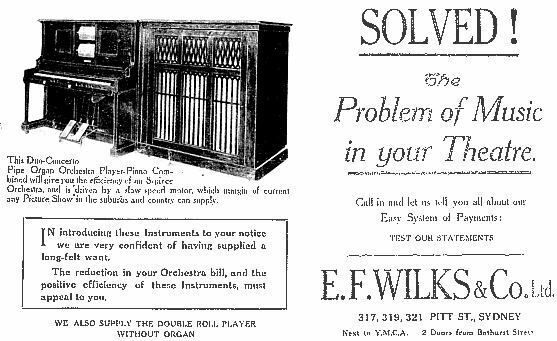 Second, the traditional piano roll is accompanied by sound effects and percussion noises triggered by chains called “cow-tails.” So, again, like live electronic music today, you can add live percussion atop the prepared music. They were also machines anyone could play. 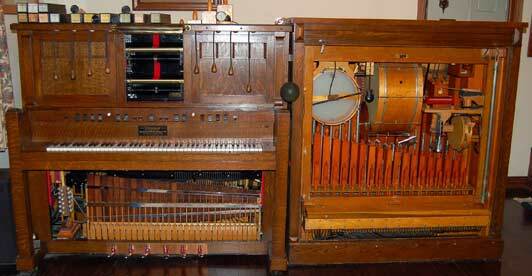 The device handled the tricky piano playing bits; you only had to add in sound effects. But with everything from gunshots to bird chirps to thunder, various levers and chains and switches let you do all the foley yourself – critical at a time when silent films lacked sound. Then again, now that we have sound, we might appreciate this effect more than the audience of the time. Food for thought.